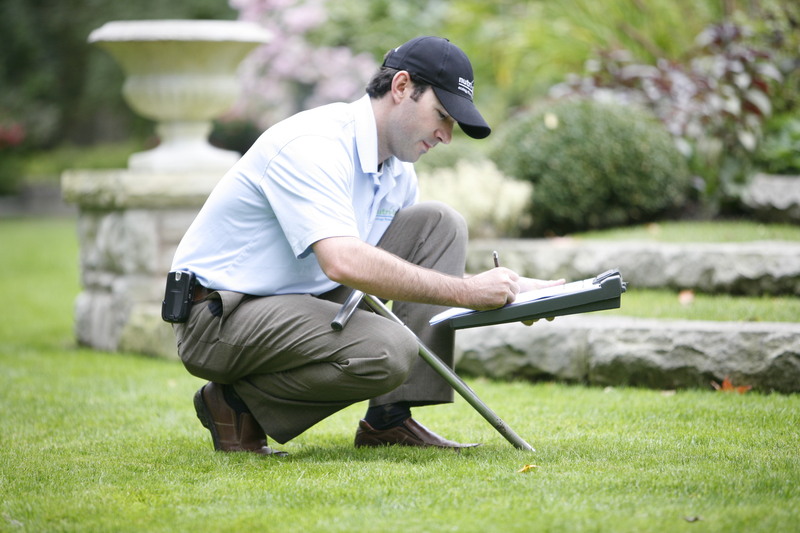 Every year, I seem to encounter the same questions from dedicated and passionate lawn enthusiasts such as yourselves regarding late-fall lawn care. "Mr. Grass Expert," you'll say, "is there anything left for me to do now that it's mid-November?" Well, of course! Even after you've applied winterizer to your lawn, raked up all your leaves, and gotten your irrigation blowout done right before the first big freeze of the season, there are still some important, easy-to-execute DIY tasks you'll need to complete before putting your property to bed for winter. This is especially relevant if you live in coastal regions, where long winters, excessive snowfall, and prolonged periods of snow cover don’t persist during the winter and leave more time for these tasks to be completed. It's important to know that late-fall isn't pack-it-up time just yet. To set your lawn up for a successful spring and an uneventful winter, you'd be wise to complete these tasks as soon as possible. How does this weekend sound? Here at Nutri-Lawn, we know that raking leaves can be downright exhausting, especially when temperatures drop and the extra layers start to come on. However, making sure that you rake up all of the leaves in your front and back yards is an essential fall task that you simply can't afford to ignore. If leaves are left unraked, they can pile up to the point of suffocating the grass, causing dead patches. Fungal diseases can also become a problem over the winter if matted down leaves are covering the lawn. 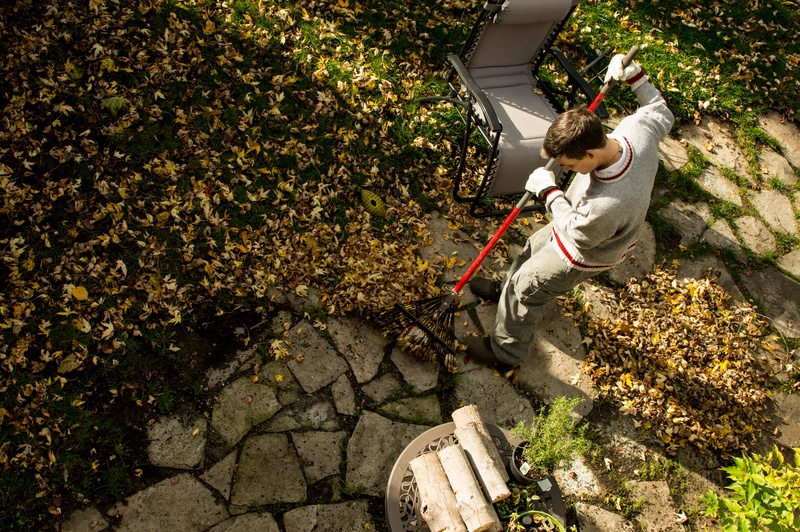 Using a lawn mower to mulch leaves, or a bagger to pickup leaves can make the job easier than raking. Leaves left on the lawn will prevent air flow and daylight from helping your lawn grow. A thick mat of wet leaves will damage your lawn beyond recovery and you will be forced to reseed patches of your lawn next spring. If you're trees are not totally barren just yet, it's important to keep that rake handy. 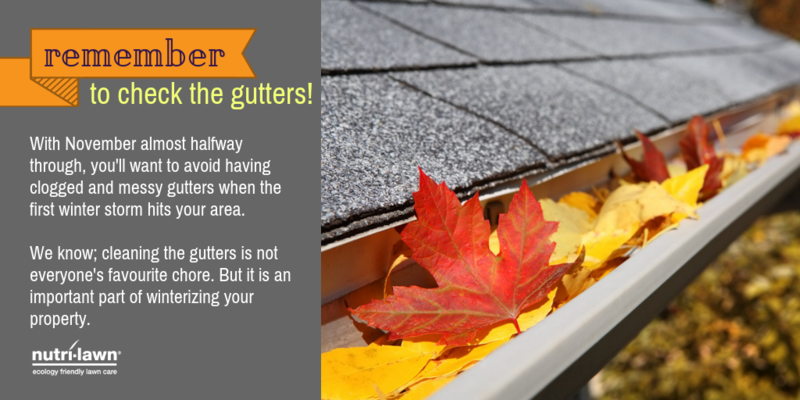 With November almost halfway through, you'll want to avoid having clogged and messy gutters when the first winter storm of the year hits your area. We know; cleaning the gutters is not everyone's favourite chore. It is, however, an important part of winterizing your property, and will look good when paired with some flashy holiday lights! When finished with your last mow of the season, you should use the extra time to take on other maintenance tasks that you didn't have time for during the busy season. Your mower needs regular tune-ups to make sure that everything is in working order, and late fall/winter is the perfect time to do it. You should inspect your mower for damaged parts, install a new spark plug, change the oil, empty the gas tank and remove the dull mower blades for sharpening. For those of you that aren't do-it-yourselfers, take your mowers to a small engine repair shop or your local hardware store for the necessary repairs. If There's Frost, Stay Off! Sometimes in life, taking the route most-traveled is the right thing to do, especially when it comes to frosted grass. That's what driveways and walkways are for, after all! Come November, you should be using them whenever possible. 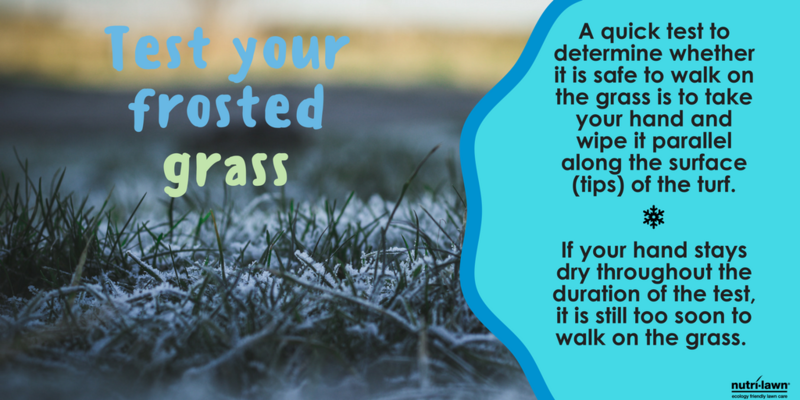 Walking over a lawn that is frost covered can cause significant and unsightly damage to the turf. Damage first appears as a blackening of the leaves, which gradually turns to a brown or tan colour. A frost covered lawn should always be stayed off of until the frost has lifted, though thankfully, there are ways to test it. A quick test to determine whether it is safe to walk on the grass is to simply take your hand and wipe it parallel along the surface (tips) of the turf. If your hand stays dry throughout the duration of the test, it is still too soon to walk on the turf. If your hand is wet, then the frost has started to melt and it is safe to walk on. Follow us on Facebook for more lawn care tips & tricks.